This article is the first of a two-part series on the Sri Lankan Tamil Diaspora in the years since the civil war ended in 2009. The second installment will examine allegations of war crimes and genocide and the legacy of the LTTE in the reconciliation process. 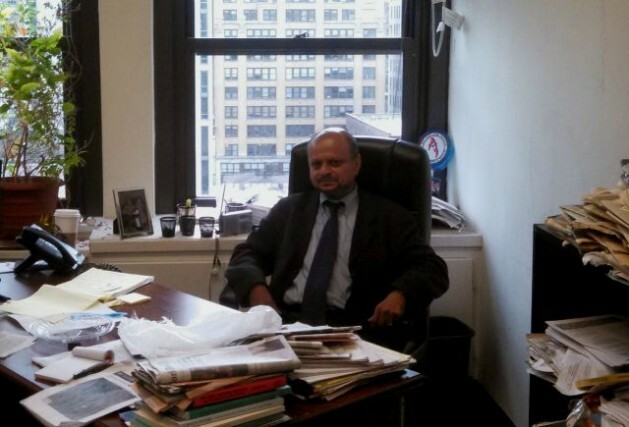 NEW YORK, Oct 25 2013 (IPS) - Seated at a desk piled high with court documents and yellowed newspapers, Visvanathan Rudrakumaran remembers leaving Sri Lanka and coming to New York for the first time, three decades ago. For the hundreds of thousands of Tamils who fled Sri Lanka after murderous anti-Tamil pogroms in 1983 transformed simmering ethnic tensions into full-blown civil war, the erasure of Tamil Eelam and the LTTE left an existential void. Tamil communities have existed for centuries in Malaysia, Singapore, South Africa and Burma. During the colonial period, Sri Lankan (then Ceylon) Tamils were favoured for administrative positions throughout the British Empire in Asia. Indian Tamils, on the other hand, were brought as labourers to various territories, including Sri Lanka. In Sri Lanka, Indian Tamils worked on tea plantations in the central highlands and came to be known as Hill Country Tamils. By the early 20th century, Indian Tamils outnumbered those with historical ties to the island. Though many Indian Tamils returned (often under the threat of force) to India and their distinctions diminished over the years, the two groups still live in very separate areas – Jaffna Tamils in the North and East and Indian Tamils in the central highlands. During the Civil War, Tamil communities around the world exhibited varying degrees of support for the LTTE. The post 1983 Sri Lankan Tamil diaspora is smaller and relatively new but due to the war and because they settled in the West, probably the best known group of Tamils living outside of South Asia. References to the Tamil Diaspora in this article are generally in relation to this group. “This was not a vote for the TNA. It was a vote for resistance,” the editorial concluded. The LTTE were home grown arising from Sinhala Only State policies and state terrorism and had nothing to do with international terrorism. By confusing the two SL governments were able to WMDs from 34 countries with which it displaced the entire Tamil community in the north and east and murdered at least 70,000 civilians in 2009 alone. Without a full accountability process mainly of the state’s own massive governance and human rights failures under the UN the travails of the country can and will never end. The PTA even 4 years after the war is used to abduct and kill not only Tamils but also Sinhalas and Muslims! Always harping on the Tamil diaspora and LTTE the Sinhala Only Buddhist governments since 1958 have got away with intolerable racism, religious bigotry and mass murder by its own policies and actions. It is time for ground realities to supersede diatribe and diversions by people little aware of ground realities. Therein lies the real problem which can never be laid to rest without justice supreme. LTTE is the results of successive Sri Lankan racist governments systematic marginalization discrimination of Tamils from independence from British rule since 1948. Vilifying LTTE used child child soldiers is not entirely fair, intact few dozens underage children enlisted in late 80s /90s from rural area where the parents were killed by the Indian Peace Keeping Force (IPKF) lost their means to survive, then looked after by the LTTE. These youngsters were used in propaganda as to draw youngster to the organization. Post IPKF era these image used in propaganda as this child soldiers beaten 4th largest army in the world. These pictures were later came to hunt LTTE as using child soldiers. When LTTE lay siege on Elephant Pass 630 LTTE cadres were killed 2 of them were age of 14 years, this made this issue debatable and then the LTTE establish a Training school for cadres under 16 sent for vocational training only released to battle when they reached 16. They were trained Sri Lankan curriculum and electronic and technology. LTTE also ran program with UN child agency to release all under 18s from armed service and accomplished, this Western writers need to realize that US UK, Australia and Newzeland still recruit 16s to armed forces this is a breach of UN convention using under 18 enlisting into armed forces. Using suicide bombing of LTTE, used this technique used for military and political targets, blanket comments on this point is portraying par with recent religious fanatics killing innocent civilians for ideology far from a nation fighting to survive Sinhalese Government on slaughter to survive for last 60 years. No LTTE to blame now, the reality is now elimination of Tamil nations with wold forces vested with geopolitical interest in fast phase. The world will realize this soon. We Tamils failing miserably again. Instead of creating more and more Tamileelam groups, Tamils – living in the west more than SINHALESE- should have created Srilankan association and condemn Srilanka for human rights and genocide. One can say Tamils will lose our struggle against Srilanka if we do so but the opposite will happen bcause Srilankan envoys and embassies WILL never ever all the Srilankan association to even come to Srilankan embassies let alone contributing or conferring with the Srilankan association created by Tamils. That is, When Srilanka cannot even talk to the Srilnkan associations in the west by Tamils, Srilanka will EXPOSE THEIR RACIST COLOURS to the WEST. there is saying in English, IF WE CANNOT BEAT THEM, LETS JOIN THEM TO BEAT THEM.